From transporting meals in bamboo wicker baskets during the Joseon dynasty, packed lunches, or dosirak in Korean, have evolved with the times, and become a source of nostalgia for some, and a convenience and necessity for others. “Lunch was a big part of school life when I was young. It may sound cliched, but checking out friends’ dosirak and sharing the food was one of the more fun parts of going to school,” Lee Mi-sook, a 56-year old housewife, said, adding that her high-school-age nephews had only seen such scenes on television. Lee said that when she was growing up packed lunches were influenced by social issues, with their contents being scrutinized by teachers. Lee was referring to the Park Chung-hee administration’s campaign to encourage people to switch from rice to mixed grains and flour-based foods, which ran until the late 1970s. Those days are long gone, but packed lunches still play a major role in Korean society. Packed lunches centered on rice have declined in popularity, as Western style foods such as sandwiches became more common. However, with the increase of one-person households and more people seeking cheap and convenient meals, rice-based packaged meal sales have risen in recent years. According to industry data, some convenience store operators have seen packaged meal sales overtake those of instant noodles -- a long time favorite of those seeking a quick meal -- for the first time in recent years. As they grow in popularity, their variety has also grown. A quick scan of the refrigerated shelves of any convenience store reveals several types of packaged meals. Convenience store operators have also begun offering healthier options such as salads, as well as those containing ingredients not often associated with quick meals, such as lobster and steak. 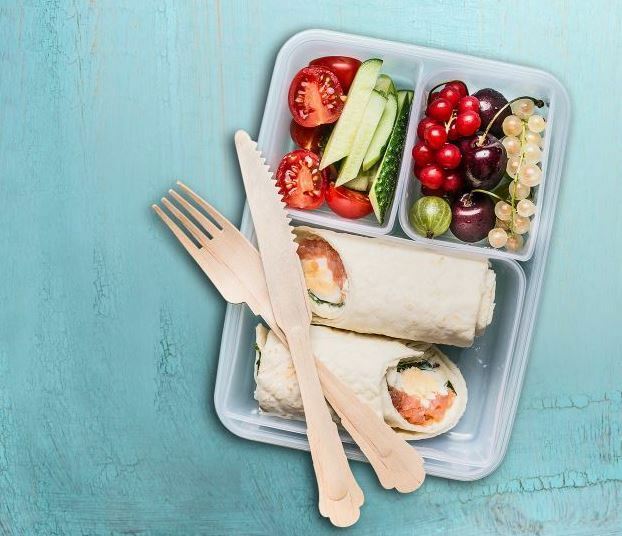 For younger generations, who have school meals at canteens, packed lunches have become reserved for school trips, and an unexpected chore for their caregivers. “Cooking is not the issue. It’s that kids these days see so much, and when they see lunch shaped like Pororo or whatever, they want the same,” one 44-year office worker, who has two daughters aged 6 and 2. Pororo is a popular local cartoon. While a father may find fancy lunchboxes a chore, others find it a source of pride, something to show off, particularly on social media.